We were surprised to learn that this church began as a direct result of an evangelism workshop taught by Wil at Thomas Herrington Bible Institute with students and professors in 2010. They continued to follow-up on those visits in the years that followed and a church was born. "For the Word of the Lord has sounded forth from you, not only in Macedonia and Achaia, but also in every place your faith toward God has gone forth, so that we have no need to say anything"
Wil taught a workshop on personal witnessing to over 30 students at the Las Cruces Bible Institute and led them in witnessing door-to-door at Linaca in El Paraiso, Honduras, February 18-26, 2010. 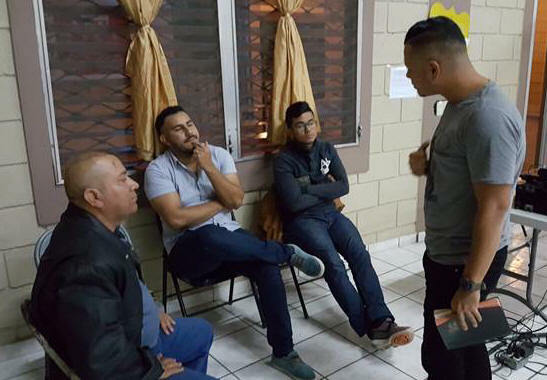 Seven years later Wil returned to Honduras teaching a personal evangelism workshop in Tegucigalpa, and how to maintain sound doctrine to pastors in Danli, Honduras. 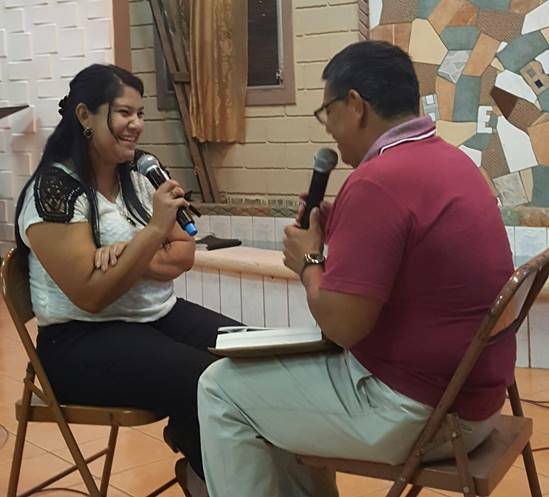 The director of the Bible Institute in Las Cruces sent word to Wil to be sure and go and see the church in Linaca that is the direct result of the evangelism workshops at the Bible Institute. This was a delightful surprise to see these results, and to see God at work as a result of the workshops. Abide in Christ was not involved in the construction of the new building. 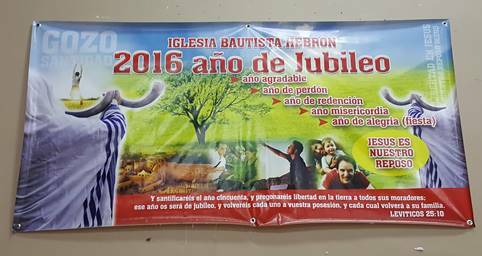 Hebron Baptist Church celebrating 26 years ministry in Tegucigalpa. 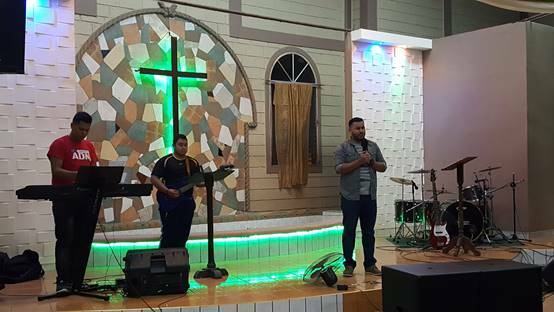 Wil taught personal evangelism at Hebron Baptist Church in Tegucigalpa, Honduras, in September 2016. The conference began with 85 university and high school students on Friday night, and the next night 25 more joined the group. Sunday morning over 300 members of the church witnessed 13 people being baptized with 13 more the Sunday before for a total of 26 declaring their faith in Christ as their Savior. Wil's sermon was on the plan of salvation using the Roman Road, and at the same time teaching the congregation how to mark their Bibles. During the time of invitation, a number of people came to know Christ as their Savior. The conference continued to grow each night the following week. Demonstrations on personal witnessing using the Roman Road were given each night, and participants divided up in pairs to practice witnessing to one another. Several three minute testimonies were given each night that included one minute on their life before Christ saved them, one minute when they heard the Good News and put their faith in Christ's death and resurrection to save them, and one minute on the change in their lives. Response to beautiful salvation testimony at Abide in Christ personal evangelism training. 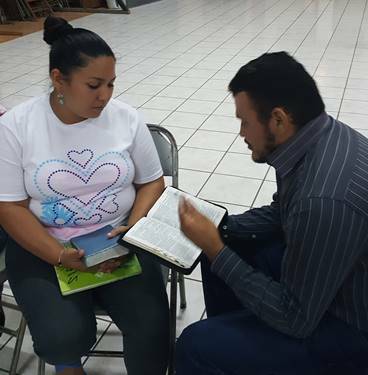 Couple practicing personal evangelism at Abide in Christ evangelism workshop at Hebron Baptist Church, Tegucigalpa, Honduras. 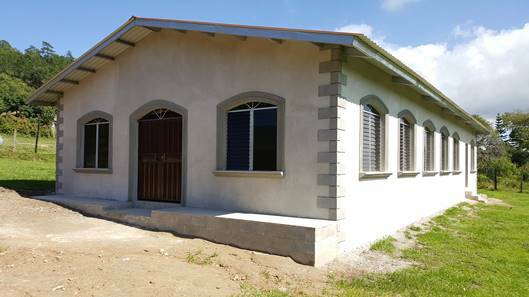 Hebron Baptist Church also has four missions in the rural communities around Yoluteca. Abide in Christ is printing 1200 copies of our evangelism training manual for use in Honduras. The pastor at Hebron, Elmer Umanzor, will continue to train his congregation and missions in personal evangelism using our materials. He will also train other pastors in Honduras. 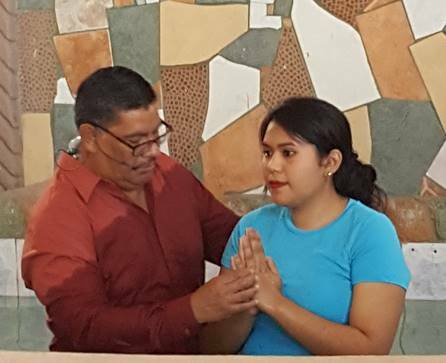 One of 26 individuals recently baptized upon their testimony of personal faith in Jesus Christ at Hebron Baptist Church, Tegucigalpa, Honduras. Wil spent the next weekend in Dali at Alpha and Omega Baptist Church teaching a group of pastors on how to maintain sound doctrine in the local church. 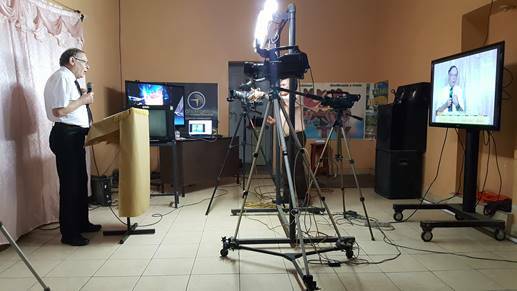 Another surprise was the opportunity to present the plan of salvation on a local TV station in Danli. Before the program had ended, a lady called indicating she believed on Christ as her Savior. We thank the Lord for the privilege and opportunity to share Christ and see results. We pray that many other views came to know Christ on that program. Our thanks to Juan Alberto Herrera for the opportunity to witness on his TV program. Wil presenting the Roman Road on the local TV station in Danli, Honudras. Special music at Hebron Baptist Church evangelism conference. 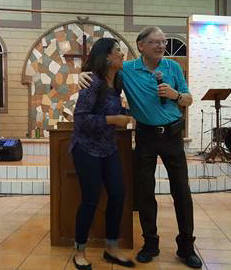 New believer sharing his testimony at Hebron Baptist Church in Tegucigalpa, Honduras. 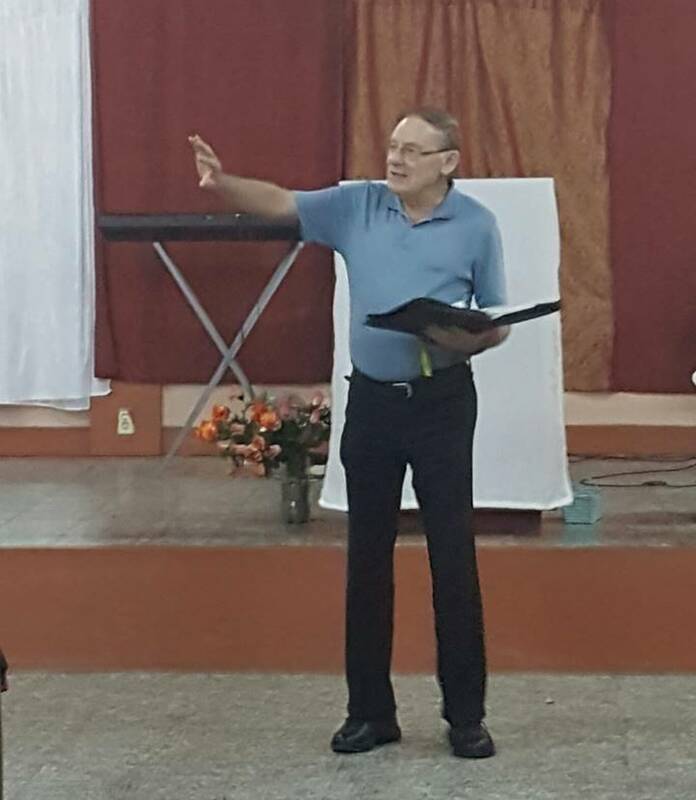 Wil teaching pastors and church leaders at workshops on sound doctrine at Alpha and Omega Baptist Church in Danli, Honduras. 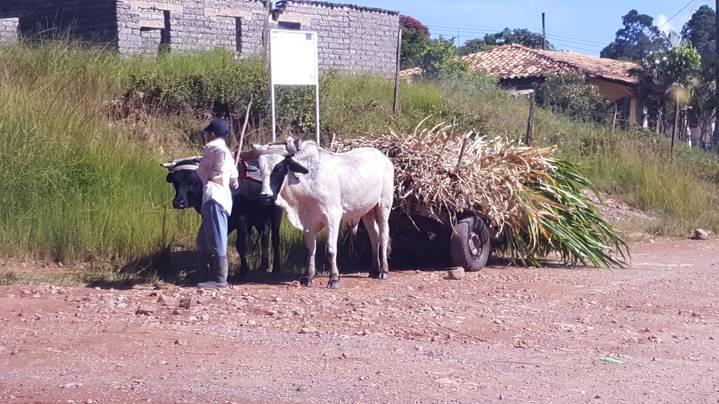 Ox cart in rural Honduras. Some people call this the Obama car in Honudras (ha haa). Pray for Peniel Seminary and the new church plant on the seminary property. Pray for Evangelism in Depth workshops with Ecuadorian pastors. 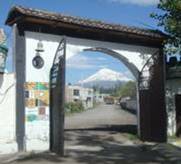 Pray for Alberto & Nancy Copa Rector at Peniel Theological Seminary, Riobama, Ecudor. 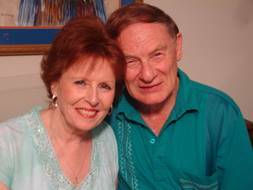 Wil and Ann celebrated 56 years of ministry in Panama, Ecuador, Honduras, and the U.S. He serves as the International Coordinator and visiting professor of Biblical Studies at Peniel Seminary. 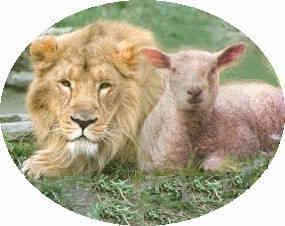 All gifts to Abide in Christ are tax deductible under IRS 501 (c) (3) tax exempt status.